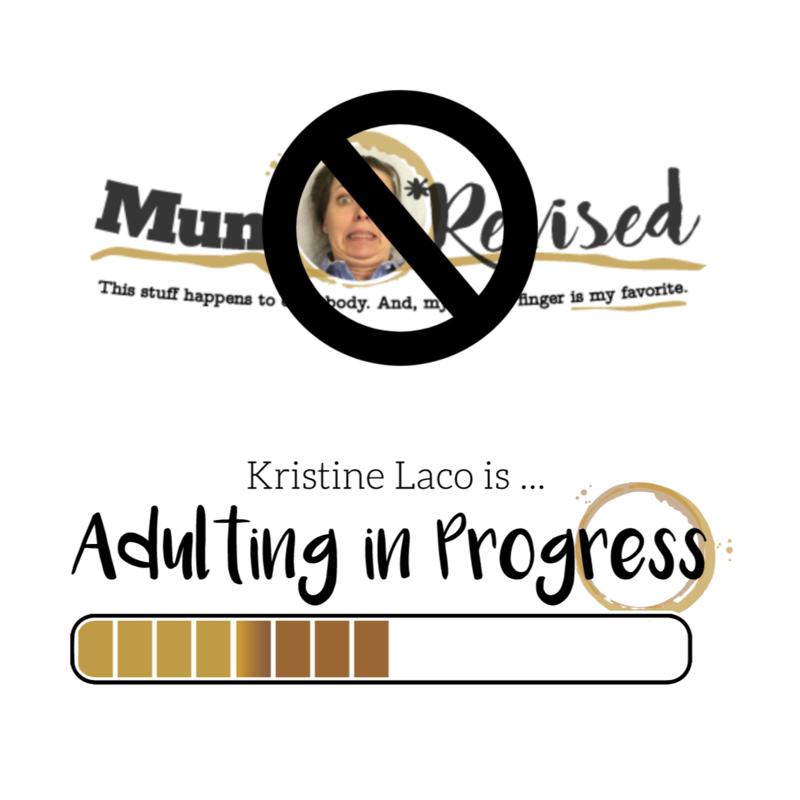 I am going from MumRevised to Adulting in Progress (adultinginprogress.com). I loved my blog name when I started here almost five years ago, but I have grown up–adulted in fact. Also, I’m getting a bit annoyed by the emails that come under the heading “We are looking for an influencer for our brand.” The interns see the word Mum and think I’m a mum and I would like mum stuff. Maybe that would be true if that meant wine for mum, but those campaigns don’t seem to come my way. Here is the most recent example of my outstanding opportunities. 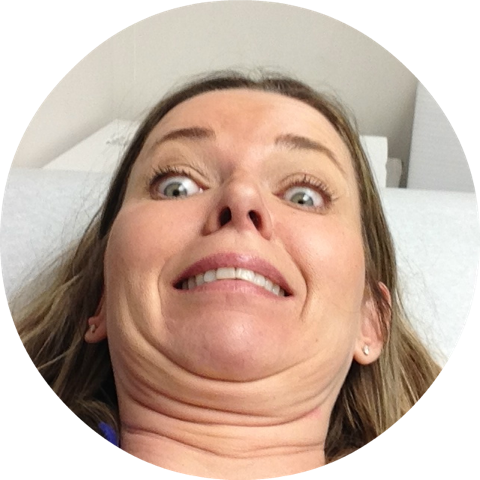 “Hello, just a check up to see if you are interested ? Its Village Idiot from Don’t Touch the Kids! Furth more we have looked at the style of your blog and the type of posts you focus in on, and we feel that you would love to try out our Gelli Baff and Slime Baff and SnoBall Battle Pack . Which we feel would suit your blog. If you like the look of any other of our products let me know and I am more than happy to send them over as well ? we feel these products are best for you as sensory play is a massive thing now, and feel it’s a great way to learn and experience new textures ? Blah blah blah, three types of slime, blah blah blah (I am paraphrasing). Furth more, I could even look past Village Idiot’s typos if he hadn’t said sensory play is a massive thing now. Like I didn’t know that! Like I’m the one who’s the Village Idiot. If you love my site, I thank you. If you have just looked at the title, then you may not know I don’t talk about toys or anything that might interest the same people you are looking to reach. I went to your site and looked through it. That is how it is done. If, on the other hand, I have mistaken your inquiry and your market is interested in tips on when it is appropriate to ask a woman if she has her period, how much I love my water dispenser, that time my dog killed a duck, or what types of poop you encounter in the emergency room, I’m your girl. Best of luck finding the right influencers for your campaign. The reason I tell you all of this is I have no idea how to transition my site. I hope to all things sensory, that I don’t lose any of my content. Or, that I don’t lose any of you. That would be a hard lesson to learn as a new, 50-year-old adult. At least I could call on my good friend Village Idiot to help me with maybe stress slime or something in black for mourning. A girl has options. Furth more, be patient in case I figure out one thing one day and don’t do anything else for a week while I high five myself with something called Baff. In the meantime, if you get a strange email from someone claiming to be me and offering you free Slime to come figure out the mess, send help. Just trying to imagine getting that crud out of your hair…..
Congratulations on your on-going maturity! I hope you have better luck with yours than I have had with mine. Meanwhile, the hell that is my life in trying to find a new place to live continues. Keep writing and I’ll keep reading! Crossing my grown-up fingers for you. I can’t believe it is taking so long to find a place. Hope that changes soon! So sensory play is a massive thing now? Why am I always the last to find out? Here I’ve been thinking about trying one of those sensory deprivation tanks even though the idea freaks me out, which may be why I’ve been thinking about it for years, not realizing the trend would eventually go the way of pet rocks and leg warmers. Anyway I stayed with you while you were a mum being revised and I plan to stick with you as you progress into adulting. And good luck dealing with the slime. Christopher recently posted…You Haven’t Got Mail! I think I would rather the deprivation than the bath of slime. I did consider sensory deprivation for my 50th, but it is hard to video when you are deprived. They still exist but it is not recommended you wear legwarmers in the tanks. I’ve been trying to adult for a VERY.long time. Good luck with that. Am excited to see what adulting looks like in your blog world ’cause it scares me a little based on where you’ve been so far!